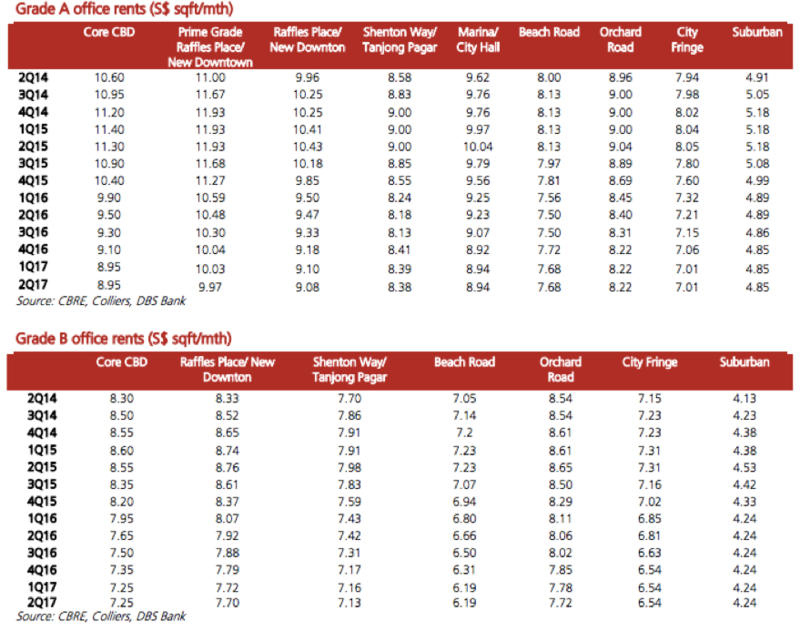 You are here: Home / Blog / Blog / Is now the best time to rent office spaces? Is now the best time to rent office spaces? 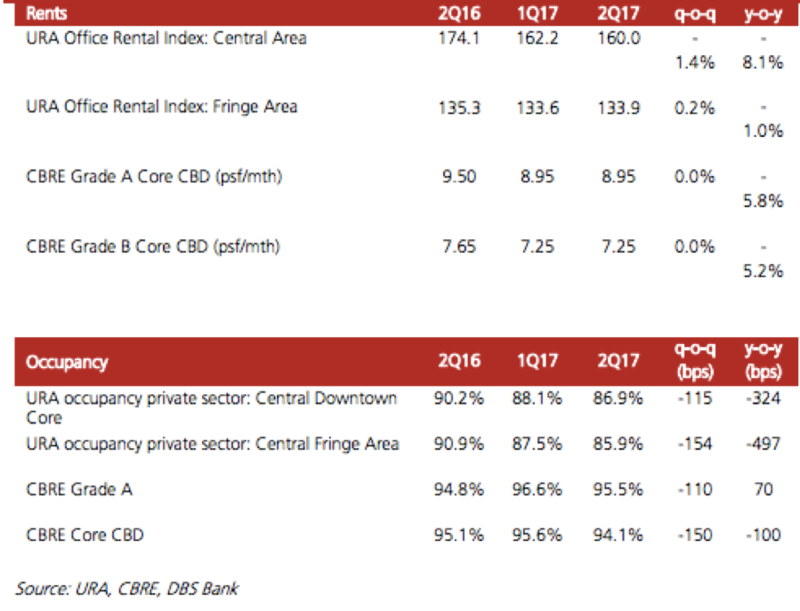 Coming off an interesting 2017 where rental prices were gradually declining in the Singapore commercial office market, the market is presenting itself as an excellent time for rental opportunity. As of Q2 2017, the market has deemed to bottom out completely – meaning now is the best situation for tenants looking for new office spaces. The former scenario is occurring to Singapore’s office market right now, as a result of a huge supply plus moderate demand, which in turn leads to higher vacancy rates, and in turn leads to more rental incentives and lower rental rates by landlords as they seek to entice new tenants. 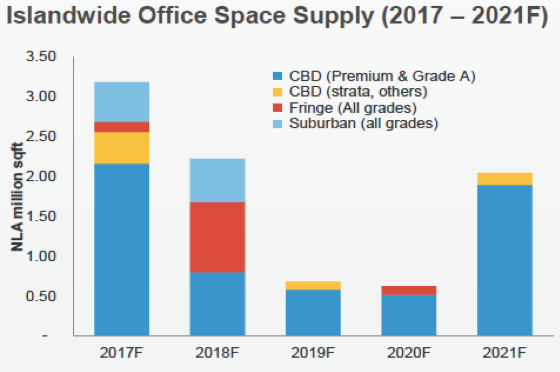 It was reported in 2016 that there would be an incoming whopping supply of 2.1 million sq ft of Premium or A-Grade office supply in CBD in 2017, with a total of about 3.1 million sq ft island-wide. Notwithstanding that, more spaces will be entering the CBD market over the next few years (till 2021). There will be a total incoming supply of about 8.1 million sq ft of new office spaces streaming in till 2021, with 6.2 million sq ft in the CBD, and about 1.9 million sq ft at the suburban and fringe areas. This means more choice for places to rent for tenants such as the incoming Guoco Tower, Frasers Tower and V on Shenton. While the amount of supply is tremendous, demand otherwise remain moderate. This is due to the current uncertain economic climate which has seen a slowing economy, announced job losses in the financial services industry and thus inevitably the downsizing of office spaces. As a result, remembering the simple demand-supply concept mentioned earlier, occupancy rates has decreased consecutively over the last few quarters, as depicted in the table below. Nevertheless, it is because of these occurrences that a rising ‘flight-to-quality’ trend will occur, which means a rising increase in tenants moving in to higher-quality offices (especially in the CBD) as they seek to take advantage of the lowered rental prices. On the other hand, decentralisation refers to office tenants relocating from the CBD to the suburban and city fringe areas. As major tenants such as Google, Microsoft, Daimler and Beca adopt to this trend, the reducing supply in the CBD means an increasing vacancy rate in the region, in turn leading to landlords having to reduce rents and offering attractive incentives to remain competitive in the tenants market. Based on data up to Q2 2017, the decentralisation trend is continuing, resulting in rental rates continuously declining for 9 consecutive quarters. 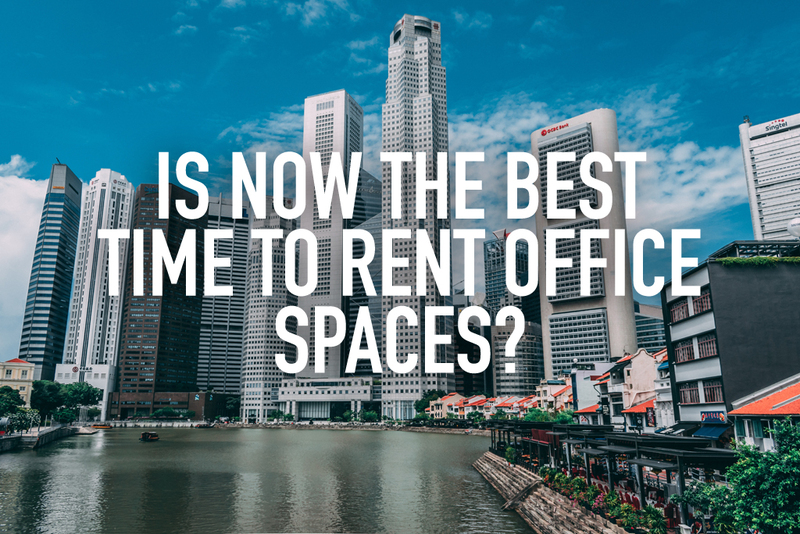 In general, rental values especially for Premium and Grade A office spaces have all currently fall below S$10 psf (which is a rare occurrence especially for Prime Grade Raffles Place offices) presenting itself as an interesting proposition for newer tenants. So why is now the best time for prospective office tenants? Indeed rents have bottomed out, but there are signs of a market recovery slowly picking up and brewing. There is a chance that more rental incentives or lower rental prices can be obtainable as landlords scramble to improve their property’s office vacancy rates. However, of course, this is a slightly risky move to take but remember the golden investment rule – the higher the risk, the higher the rewards. We hope this article has given you a good insight on the current ongoing. On that note, should you require any sound advice on commercial property loans, it would be wise to contact a trusted local mortgage advisory company such as Redbrick so as to obtain the most feasible and optimal financing solutions. However, if you are interested in investing in residential properties as well, our blog offers various forms of insights as well as comprehensive how-to-do guides pertaining to the topic as well. Alan specializes in the area of SME Financing covering trade financing and commercial mortgage/refinancing loans at Redbrick.He is equally adept in residential property loans.He joined Redbrick with a meticulous record in business banking having won many awards and accolades in his stint at major banks like UOB, RHB and DBS. https://www.redbrick.sg/wp-content/uploads/2018/02/besttimetorentofficespaces.jpg 684 1024 Alan Chua https://www.redbrick.sg/wp-content/uploads/2018/02/RBMortgageAd-01Colour-300x85.png Alan Chua2018-02-09 17:33:022018-03-28 17:30:35Is now the best time to rent office spaces?